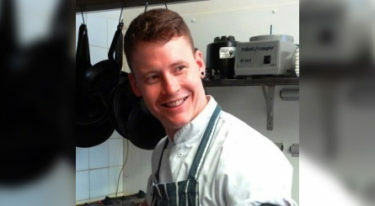 I re-joined the Market team in my current role as Head Chef at the beginning of 2013. I’d previously been here as the Sous Chef before I went travelling and working in kitchens around the world. At Harry’s Hotel Bar, Aberystwyth. We’re based in Brighton and Hove but I frequently dine out in London and went to Hibiscus on my most recent visit. I’ve also just come back from Paris where I dined at the 3 Michelin Star Guy Savoy – a treat for any chef! Actually my old chef at Market, Gethin Jones, who had previously been sous chef for Jan Tanaka at Pearl in Holborn. He opened my eyes to a lot of possibilities and flavour combinations. I don’t have one – I like cooking everything and – as the menu constantly changes and as I develop – the last thing that I cooked is always my favourite. Again, I don’t have one in particular. I have a lot of respect for rveryone in the industry but chefs like Marcus Wareing and Phil Howard do stand out. When customers give you great feedback and tell you that their food was the best meal that they have ever tasted.